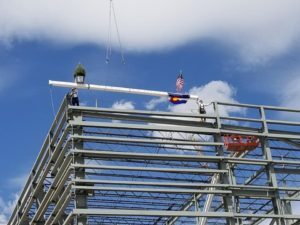 On May 11th Derr & Gruenewald Construction, based in Henderson Colorado topped out the steel on the new $350 Million Lockheed Martin facility that will produce next-generation satellites. 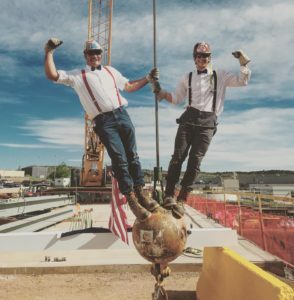 The project consisted of 2700 tons of structural steel. 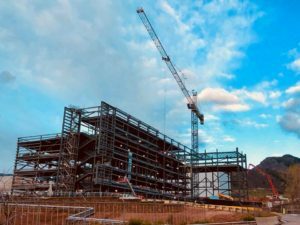 The new Gateway Center, slated for completion in 2020, includes a state-of-the-art high bay clean room capable of simultaneously building a spectrum of satellites from micro to macro. The facility’s paperless, digitally-enabled production environment incorporates rapidly-reconfigurable production lines and advanced test capability. It includes an expansive thermal vacuum chamber to simulate the harsh environment of space, an anechoic chamber for highly perceptive testing of sensors and communications systems, and an advanced test operations and analysis center. The Gateway Center will be certified to security standards required to support vital national security missions. 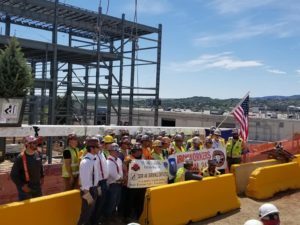 As far as jobs go, the project creates about 1,500 contract construction jobs over three years.